Thus far, the debate among the directors has centered on a familiar theme–whether to spend precious dollars on maintaining and increasing capacity on the core system, or build another multi-billion dollar extension. Perhaps that’s a valid debate to have, but in this case, it’s not necessary to go there. If BART had enough money in its pocket, right now, to build another Transbay Tube, a line under Geary, and even an extension across the Golden Gate Bridge to Marin, and still had $1.6 billion leftover for the Livermore extension, the plan that’s on the table would still be an absurd proposal that misses the whole point of regional rail. BART is not a commuter train. It’s also not a subway system. It’s a regional rail system, akin to the Paris RER or Germany’s S-Bahn. Those are characterized by a trunk line through the urban core (the Market Street subway in BART’s case) where service is fast and frequent, with lines that branch out to the suburbs. In the urban core, regional rail systems need multi-billion dollar tunnels and viaducts, so trains can run fast and frequently. In the suburbs, trains branch onto much cheaper, at-grade lines that, in some cases, are shared with freight and long-distance trains. On the branch lines, train service is regular but less frequent. Sometimes the branch lines are even single-track. By focusing investment on the core system, everyone benefits, since all lines use it. It also allows the system to spread far and wide and serve the maximum number of people, since the trains can take advantage of existing rights of way in outlying regions. At least, that’s how regional rail is supposed to work. Unfortunately, the legacy of BART’s non-standard-gauge trains makes it impossible for trains to fan out onto other rail systems when they leave the city center. That’s why we have the Warm Springs/San Jose extension with hundreds of millions of dollars worth of viaducts over empty fields. That line at least has the major job center of San Jose as its destination to justify its costly existence. So how should BART move forward to be a successful regional rail system, given the huge constraint of its incompatible, wide-gauge trains? The answer is obvious: BARTs extensions should get to the nearest logical transfer station to conventional rail, so that passengers who are headed farther out of San Francisco and Oakland can transfer and continue on their way. BART has built this kind of end-of-line transfer station on the Richmond Line, with the transfer to Amtrak’s Capital Corridor trains to Sacramento and the Central Valley. It’s also done it at Millbrae, with the connection to Caltrain. The connections don’t currently work very well, but, one hopes, the long term goal of establishing timed transfers and unified ticketing will make them more seamless. These end-of-line transfer stations, by the way, work better if they are put someplace that is a destination in itself, such as downtown Livermore and/or the Livermore Labs. And that was actually the plan for the Livermore BART extension until 2013–to have BART leave the freeway median and go to downtown Livermore for a transfer to the Altamont Commuter Express train, which runs between the Central Valley and San Jose. The old plan actually had a second ACE/BART transfer station at Livermore Labs, so BART riders wouldn’t have to transfer to get to work. But the mayor of Livermore and the City Council rejected it, in favor of continuing the line in the center of I-580, after they were cowed by constituents who reportedly feared a train to downtown would “damage the city’s historic character.” Translation: they didn’t want a BART train going by their houses. So Livermore decided the parochial interests of a couple of thousand NIMBYs should trump the interests of the millions of people who live and work in the Bay Area. If the extension is approved as currently planned, it means that someone who wants to take the Altamont Commuter Express train and transfer to BART would still have to take a bus to make that connection. It means someone who wants to take BART from San Francisco or Oakland to Livermore would still have to transfer to a bus in the center of the freeway to get there. Furthermore, it means widening I-580, since there’s no freeway median available for BART to run in–the soon-to-open Antioch extension notwithstanding, the availability of an existing median is the only argument for ever running trains in the middle of a freeway. The BART board vote seems to be falling along familiar lines, with representatives from San Francisco and Oakland likely to vote against the extension and the suburban reps leaning in favor. The wild card is Bevan Dufty, who represents BART for parts of San Francisco, including the Mission. The last time Streetsblog spoke with him, he wouldn’t commit for or against. Dufty and, word has it, BART District #7 Director Lateefah Simon, who represents parts of San Francisco, Oakland, and a few other cities, could both benefit from a few calls encouraging them to advocate for improved bus connections from the end of the Dublin/Pleasanton Line instead of extending the rails under the current plan. Meanwhile, supporters of the BART-to-the-Isabel-exit extension are using the tired argument that Livermore residents pay taxes and therefore deserve the extension they want. Everyone pays taxes. That doesn’t give Livermore the right to burn $1.6 billion on an extension that maximizes costs and minimizes utility for the whole region. Streetsblog readers, especially those who live in BART District 9 (the Mission, Glen Park, Civic Center, Powell Street, Balboa Park) should contact Director Dufty prior to tomorrow/Thursday afternoon to let him know how they feel about this extension. It would be a good idea to contact Lateefah Simon if you live in her district. Or contact them both if you’re not sure. Or come speak at tomorrow’s BART board meeting, 4:00 p.m. on Thursday, May 24, 2018, in the BART Board Room, 2040 Webster Street, Oakland. Can hardly fault Livermore for not wanting filthy, junkie and homeless-infested BART trains rolling into their town. That’s just FUD. How many of the suburban BART stations suffer from the vagrancy problems of the Bay Area’s core? The current endpoint of W.Pleasanton doesn’t have vagrancy problems. Why would an extension cause problems? “damage the city’s historic character.” ?? That’s bogus. Livermore has already replaced most of its historic buildings with parking lots. And the few that remain are along First Street which will not be affected by connecting BART to ACE. If anything BART to Livermore will increase the downtown’s appeal. Those dirt parking lots a block away from the downtown core will be redeveloped, increasing vibrancy and making downtown Livermore an even better place to visit and live. An extension without an ACE connection is a colossal waste of funds. Better to postpone or cancel the project than to extend in the freeway. they were cowed by constituents who reportedly feared a train to downtown would “damage the city’s historic character.” Translation: they didn’t want a BART train going by their houses. Let’s not mince words. The correct translation is: Livermore constituents are racists who don’t want “thugs” coming from Oakland to their downtown. Robert S. Allen, former BART director for Tri-Valley, used those exact words in pushing for the freeway median location. It will be interesting to see what the FTA civil rights division thinks about this project. I remember attending the meetings a decade ago and expressing support for the transfer station in downtown Livermore, at minimum on Stanley Blvd., but to no avail. Frankly, the NIMBYs have a fetish for a 580 median extension, and won’t be dissuaded. Nevermind that a freight line or two, and an old ROW run through the heart of the city. No, No. The problem isn’t the “core”, it’s just at the BART stations. These aren’t the open-air injection drug users shooting up in SOMA that you are looking for. Move along. Roger wants to redefine what Bart is, as part of Streetsblogs ‘War on Suburbs’. “…similar to S-Bahn services in Germany, Denmark, Austria and Switzerland” I also said it’s like an S-Bahn, so you’re refuting the post with a wiki entry that agrees with the post? “Commuter subway” is just another way of saying regional rail. No it’s not. But go ahead, carry on, you’re bias is obvious. Isabel Ave. will make a fine “main street”. Even if the Livemore NIMBYS allowed BART to go where potential riders are, the opportunity cost per rider is way too high. Bulldozing a few of the freeway adjacent car dealerships to add parking for the existing stations would serve the likely new ridership at a tiny fraction of the cost. As to connecting to ACE there are numerous options; if Livermore doesn’t want to be the place, others can. The money saved should go to getting the Dumbarton route built. Since Roger didn’t post the conceptional map for the original extension, here it is below..It’s a damn shame that a useless extension to Isabel ave will be built instead of simply sticking with the original extension that actually makes much more sense to build. Thanks Kieran. It’s definitely helpful to see it again. There were also some proposed alignments that left the freeway sooner. Yea every time I look at this alignment I shake my head at BART’s idiocy of going with the Isabel ave plan…That’s interesting you mention that..I’ve heard of an alignment where BART would’ve went into southern Pleasanton, for example..Dunno how true that is or not, though. Vagrancy problem is also not adequately addressed by BART (or Muni) in the core where the homeless tend to congregate. It really has nothing to do with the subway itself. The homeless would pose a problem regardless. Also, the claim that the 580 alignment extension will “take cars off the road” is idiotic. Putting a station smack in the middle of a highway median REQUIRES riders to drive to that station. The only thing it might do is take cars off 580 a few miles sooner to park at this mega station. The bigger issue at hand is that all these towns/cities encourage sprawl development rather than car-free town centers where people can live/work/walk to transit. In this case, blame both BART and the city of Livermore for simply making a bad situation worse. Exactly. My absolute favorite opposing argument for the downtown extension was a few years back when a mother said her teenage daughter was having nightmares about BART going to downtown Livermore. She feared for her safety. LMFAO. How about those 100,000 Richmond area bus riders looking for a 4-mile commute to downtown SF in under 40 minutes? Ugh. Thanks for pointing this out (again). Pulled it from our library and didn’t notice the caption. I think the other options were killed in an earlier study, but I remember seeing the maps when I was doing the research. I’ll post them if I can find them. Out of “the office” at the moment. You describe those BART viaducts to Warm Springs as if they were a bad thing. Do we actually want to build more rail transportation at-grade, with nothing but gate arms and flashing lights to warn motorists and pedestrians? How many people continue to get hurt around the Blue Line in Los Angeles or Muni streetcars? How can we prevent disoriented motorists from driving into the Muni tunnel at West Portal, or accidentally turning onto the rail right of way like the Metrolink Oxnard accident? Separating transit from grade would help deliver performance that would make transit competitive with automobiles. P.S. I’d take BART to Amtrak or BART to Caltrain far more often if I didn’t have to wait 10 to 30 minutes for the connection. P.P.S. It is insane that ACE and Amtrak don’t connect to BART in Fremont and it is maddening that the Livermore extension will not deliver an integrated transfer station to ACE. We’ve only been voting to get BART to Livermore for the last 20 years. It’s obviously wanted whether or not you think we deserve it. It would cost more money to bring it to downtown than it would to put it in the middle of the freeway. Come spend some time in our morning commute and tell us we shouldn’t have a BART station. It’s all good. Yea that’d be interesting if you could post that sometime later. Yeah. Berkeley and El Cerrito and Glen Park and Millbrae are just horrible places because they have BART service. Housing prices have just plummeted there. Oh wait, nope, none of that is true. Don’t we deserve transit that goes someplace rather than the middle of a freeway? If Livermore doesn’t want to connect to downtown and ACE, you’re asking all of us to build you what you want to the tune of $1.6B, and nobody else gets any benefit in return. 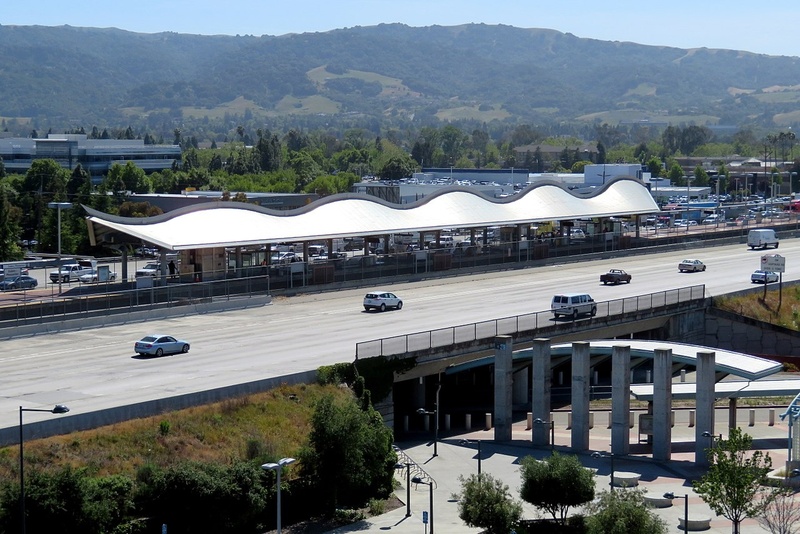 It’s unreasonable to reject a plan that provides regional transit connectivity and then expect the entire Bay Area to pay for your park-and-ride in the middle of a freeway. Correct me if I’m wrong, but all the BART stations along 580 until you get to Oakland are in the middle of the freeway. Why should we be required to be any different than those stations? I don’t personally care where the station lands, I’m tired of waiting for this extension. We should have had it a decade ago. BART must somehow connect to ACE. At Vasco Road most likely. While I am all about the extension to Livermore city proper I believe the estimated cost was $3.x billion dollars. Also, there’s soooo much density that could be connected north of the freeway that is being missed. All in all the alternatives analysis for the whole thing is super short sighted. It’s a failure of regional planning all together. And there’s so much density in SF that’s been ignored over the decades and won’t be addressed any time soon. Actually the last station along 580’s median is the Castro Valley one. After that, BART diverges from the 580 and by the time it’s at Bayfair station in San Lorenzo it’s following the Union Pacific right of way. I agree this extension should’ve been done with a decade, at least, though if it were built it should stick to the original route with a downtown subway station and an elevated station at Vasco rd near the Livermore Nuclear Laboratory. That way there’d be connections to ACE at both stations plus a lot of bus lines. Even though it’d cost more it makes the most sense, especially since there’d be a new train yard near the Vasco rd terminal. You can read my other post in this thread where you can see a map of it. Really? It would’ve cost around 3 billion $ at least? IF that’s the case I can see why in part, because the downtown station was supposed to be a subway. Which area north are you referring to? Las Positas College, maybe? I agree it’s been a sad failure of regional planning. As soon as the original Livermore extension option was rejected I knew it was a waste of time/$.. Ya know considering how many decades BART has terminated at the Richmond Amtrak station I’m surprised the trains aren’t coordinated on their schedules to arrive around 5-8 min prior to an Amtrak train arriving at the station. BART obviously needs to do that at the Millbrae station as well with Caltrain. I definitely agree that along with more grade separation there should be more underpasses when possible if a train must be at-grade, where the autos would have to pass under the rail crossing, that way the train wouldn’t need to stop and there’d be no accidents. To connect BART to ACE, the cost will be ~$3 billion regardless. Either it is done in downtown Livermore, or out by Greenville Rd using I580 median. The 2009 study quantified the costs for both options, and there was very little difference in cost. I’m baffled as to why you would WANT it in the freeway. BART screwed over Dublin with the current setup. You want the same? Actually that’s incorrect. CalTrans can force BART to shoulder the cost of freeway widening to Greenville (ACE connection), which ends up making the freeway median project comparable in cost to a downtown connection to ACE. That’s the problem. Caltrans should allow BART to inhabit the space without requiring them to replace any lanes usurped, especially if they aren’t toll lanes. Loop e-BART around and connect at the current terminus. Problem solved. A little over a week ago, BART held a community ribbon-cutting celebration for its new ten-mile, two-station extension from the end of the Pittsburg/Bay Point line to Antioch.